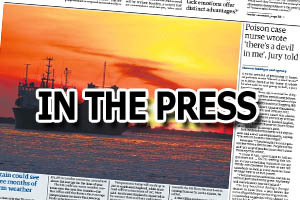 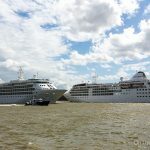 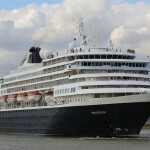 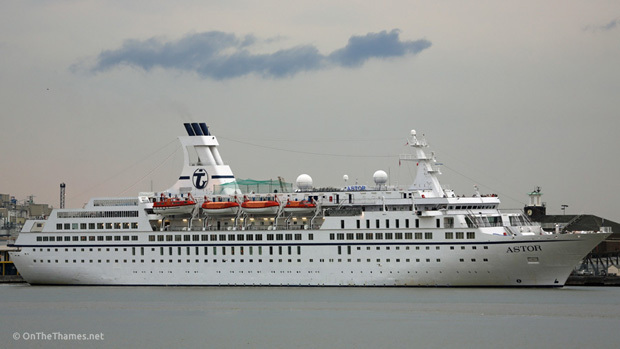 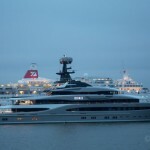 TWO cruise ships arrived on the Thames on the same tide early on Monday morning. 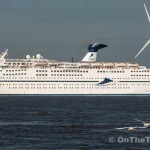 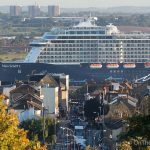 Early risers were treated to the sight of two cruise ships making their way up river, with ASTOR mooring at London International Cruise Terminal, Tilbury, and DEUTSCHLAND carrying on up to Greenwich. 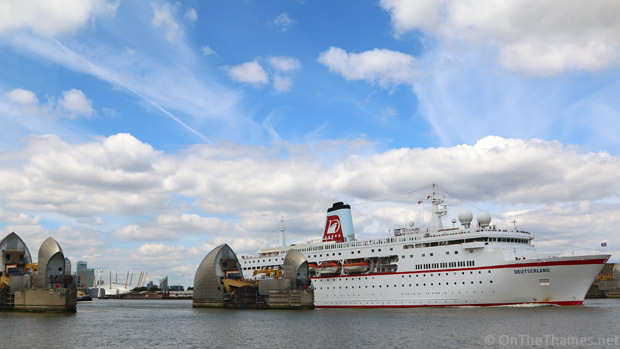 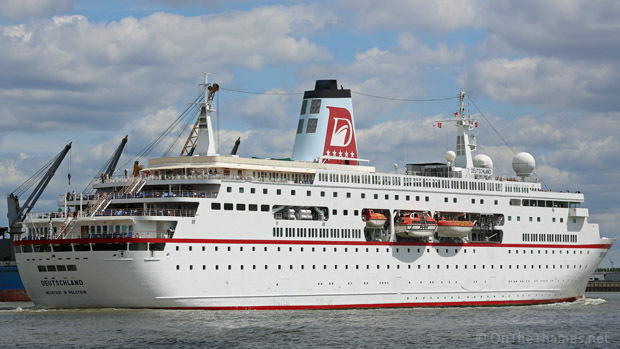 ASTOR joined the fleet of Essex-based Cruise & Maritime Voyages on a three year charter in November 2013. 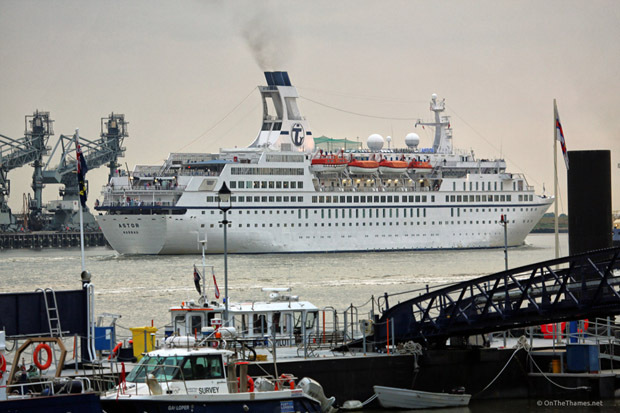 She left Tilbury the same day, bound for Zeebrugge. 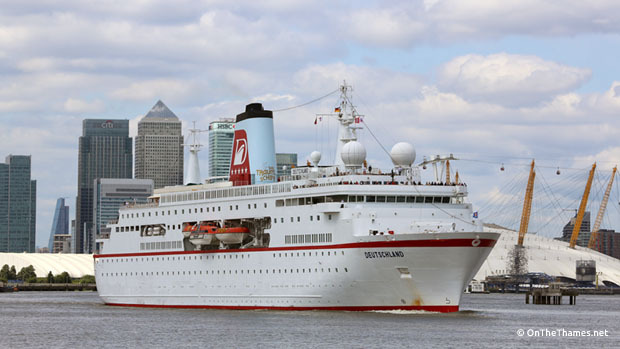 DEUTSCHLAND has become a regular visitor to London and notably squeezed in to West India Dock during the London 2012 Olympics. 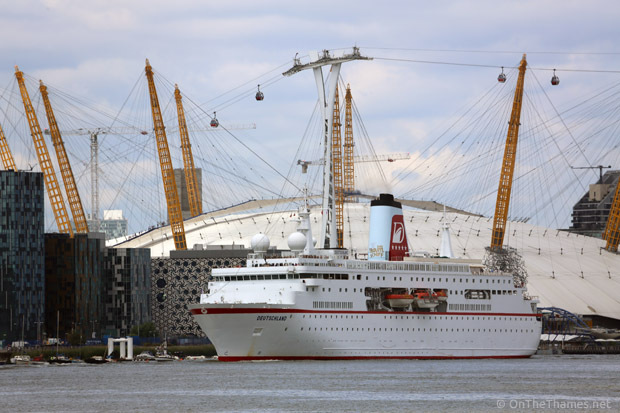 The 175-metre vessel left Greenwich shortly after 11am this morning and set sail for Hamburg. 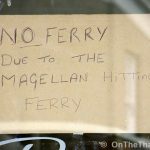 If you don't already, you can sign up to receive photos from OnTheThames.net in your email by using the Subscribe registration form here.